d abroad. Young children are “big” citizens and, as such, subjects with their own rights. In Hungary, Kolibri pioneered in introducing theatre for early ages. In 2009, it began its successful 5-year-long cooperation – Small Size, Big Citizens – with 11 other European countries. Kolibri’s first Small Size-production was Wiggler, which has ever since been a huge success with the little ones. In September 2013, we produced Dot, Dot, Comma, a coproduction with Barbara Kölling, director of performances for toddlers from Helios Theater (Hamm, Germany). In April, 2015, we presented our first show within the renewed cooperation – The Bear Called Sunday by Axel Hacke. In the new 5-year-long cooperation – Small Size, Performing Arts for the Early Ages – we are participating together with 16 partner theatre. Platform Shift+ consists of 11 partners from 9 countries: Ten long-established theatres with a special focus on young audiences and the Norwegian University of Agder, as an expert in cultural education and monitoring. Together we have identified the urgent need to engage fully with digital technology in order to understand the reality of our target audience. Today’s young people are digital natives who move naturally between real and virtual worlds. Theatre for them must respond to this new reality in order to sustain and grow existing audiences and build new audiences for the future. Only by doing this can we accurately portray their reality and inspire them with a belief in theatre as a unique live medium for modern times. Platform Shift+ identifies the need for a major investment in the professionalization of theatre makers in digital technology and young people’s participation on an international level. It proposes an extensive program of interrelated activities consisting of more than 20 huge public international conferences, workshops and training opportunities, 40 (co-) productions based on newly developed plays/concepts, including transnational working processes and the touring of the artistic products. All professional artistic work is accompanied by young people’s projects under professional. The project will create a platform to shift theatre for young Europeans today and secure theatre’s role in the Europe of tomorrow. ASSITEJ International (Association Internationale du Théâtre pour l’Enfance et la Jeunesse) proposes to unite theatres, organizations and individuals throughout the world dedicated to theatre for children and young people. The Association is dedicated to artistic, humanitarian, and educational efforts and no decision, action or statement of the Association shall be based on nationality, political conviction, cultural identity, ethnicity, or religion. Members of the Association are national centers, representative of theatre for children and young people in their own countries. ASSITEJ Hungarian Center was established in 1971. The present structure, with Kolibri Theatre representing the Centre, has been existing since 2000. 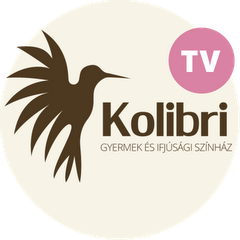 The core organization includes the president, János Novák (general manager of Kolibri Theater for Children and Youth) and five members in the executive committee (Katalin Andai – actress; József Kaposi – university teacher, director; István Sándor L. – critic; György Vidovszky – director; László Bagossy – director). Members of ASSITEJ Hungarian Centre include professional and amateur theatres and companies from all over Hungary. One of the main activities of ASSITEJ Hungarian Centre is the organization of the Biennale of National and International Theatres for Children and Youth every second year.